Established in 1999, BetSoft is fairly new to the online gambling scene as the company’s popularity began to grow from 2008 onwards, when the software developer introduced its collection of cutting-edge 3D slot titles. 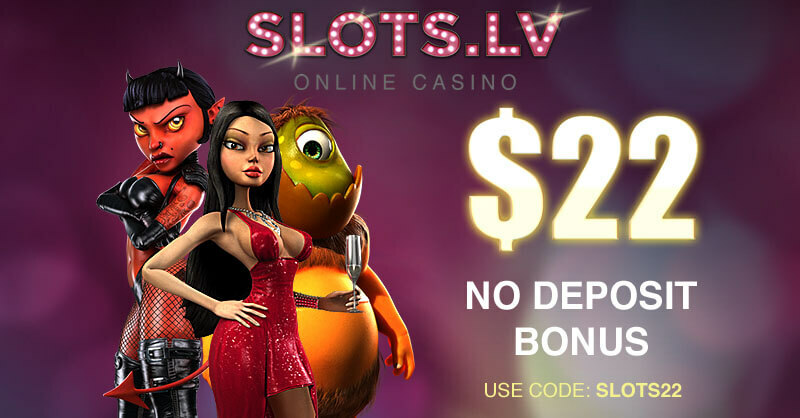 The slots from BetSoft’s 3D series stand out with cinematic quality in terms of visuals and animations and offer players a truly unique experience since, for the most part, the games resemble animated feature films. BetSoft might be a relatively new casino software developer but it cemented its position in the industry with the launch of the ToGo line of mobile video slots in 2012, which spans a variety of slot titles that have been optimised for smartphones and tablets, running on iOS, Android and Windows. Apart from their ever-expanding slot collection that comprises over 70 titles, the English software developer is to be held responsible for a nice range of quality video poker variations and authentic traditional casino games like blackjack, roulette, poker, craps and baccarat. Some of the slot titles from BetSoft’s 3D series not only offer players a truly unforgettable gaming experience thanks to their life-like graphics and animations, but also provide them with the opportunity to win huge progressive jackpots. The progressive jackpot slots on BetSoft’s portfolio are typically network-based which means that several online casinos that utilise the developer’s software contribute to the accumulation of the progressive prizes. Thus, each time a player makes a bet on a BetSoft progressive slot, a small percentage of the sum is subtracted and goes towards the jackpot. As the jackpots are attached to individual online slots, the prizes do not accumulate as fast as the jackpots on Playtech and Microgaming slots where several titles are linked across a jackpot network and all contribute towards the accumulation of the pools. Nevertheless, as BetSoft’s progressive slots are linked to multiple casinos that operate on that software, the jackpots can still reach a six-figure sum of money. What is interesting is that some of Betsoft’s progressive slots offer as many as three progressive jackpots players can potentially win. Players can keep track of the progressive prizes that have accumulated at any given moment by taking a quick look at the jackpot metres that are attached to the games. Each BetSoft progressive slot maintains a separate jackpot metre for the different coin values, used in the game. Slot fans can qualify for winning the progressive prize as long as they bet the maximum number of coins per active payline. Once the jackpot is collected by one lucky slot fan, the progressive prize starts accumulating all over again from a predetermined amount or seed. This seed amount is contributed by BetSoft. The seed for some of the lower progressive jackpots ranges between £100 and £2,000. Such jackpots are typically won when the sum escalates to around £55,000 or £60,000. The jackpot amounts may be smaller but this also means the prizes are won more often. With some BetSoft progressive slots, players are required to line up a specific combination of symbols on a given payline in order to trigger the jackpot. On others, the progressive prizes are awarded at random and do not depend on a specific symbol combination. One of the advantages of playing BetSoft’s progressive games results from the fact the slots can be launched directly in your browser and you will not be required to download any dedicated casino client in order to make your bets. Furthermore, players can first test the progressive BetSoft slots in Fun mode prior to risking their own funds by placing real-money bets. BetSoft has created about a dozen premium-quality slots that have progressive jackpots attached to them. We have narrowed down our list to five of the most popular BetSoft progressive slots which offer the most lucrative prizes. Each of these five titles impresses with vibrant, superior-quality sound effects, rich graphics and stunning 3D visuals. The games have been fully adapted for mobile play, so slot fans can rely on enjoying a seamless gaming experience from the comfort of their surroundings. Greedy Goblins is among the most popular slot titles in BetSoft’s gaming collection. 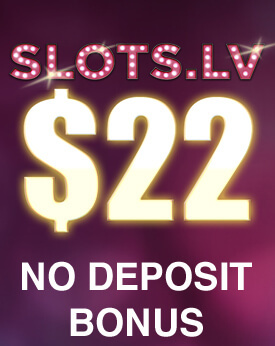 The slot offers a total of 30 paylines that are spread across five reels. It is possible to wager up to five coins per payline, with a maximum bet amount set at £150.00. The Greedy Goblins slot is packed with great features, which will surely help players maximise their profits. For example, once they land a winning combination on one of the paylines, players are provided with the opportunity to double up their winnings by playing a coin-flip game of “Goblin or Elf”. Another interesting feature is the cascading coin drop. Whenever players line up two or more golden coins on a payline, the titular goblin will come out to collect them while more symbols fall into their place, allowing players to form more winning combinations. There is also a sticky wild symbol in the game which can reward players with up to 3 re-spins. 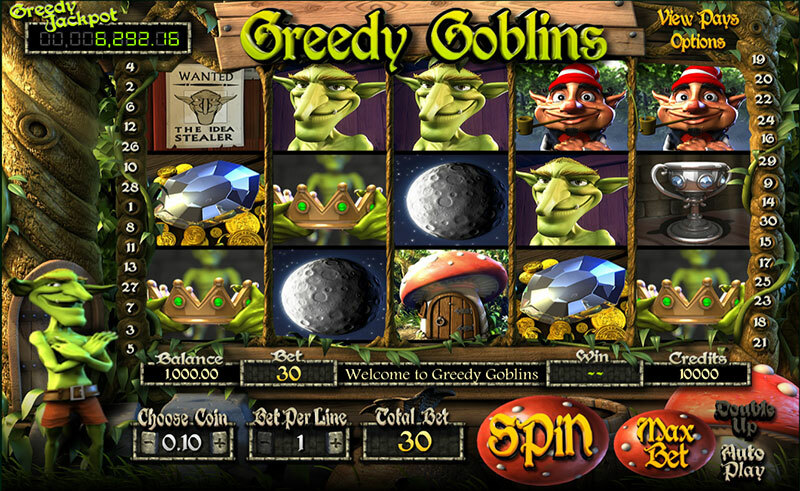 In addition, there are two bonus games incorporated into the Greedy Goblins slot. Players, who land three or more Elfania symbols on the reels, will be awarded free spins with up to 10x multipliers on winnings. The second bonus is a “pick me” styled game that is unlocked whenever players line up two Book of Secrets symbols on the second and fourth reels. However, it is the progressive jackpot that attracts most players to Greedy Goblins. The huge prize can be triggered whenever players succeed in landing five elf symbols on an active payline after wagering the maximum bet amount allowed per spin. Slot fans, who wish to win a massive amount of money, can join Mr. Vegas and his two beautiful starlet companions for a tour of the Sin City. 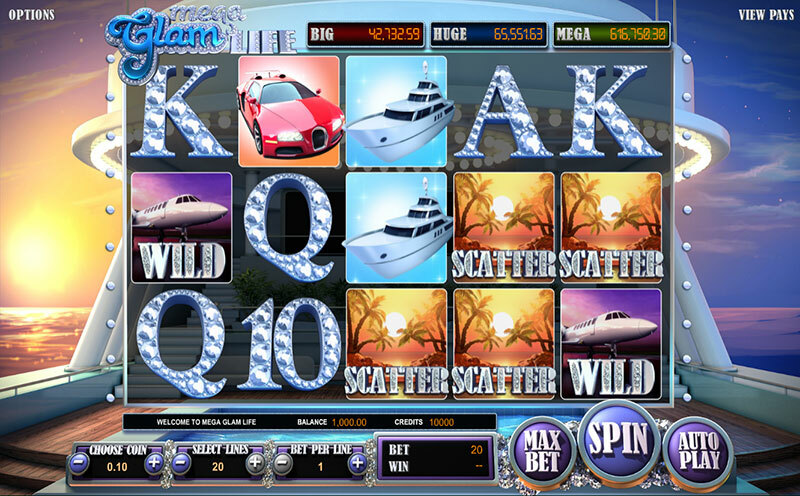 As the title of the slot implies, the game’s theme was inspired by the glitz and the glamour of Las Vegas and the symbols BetSoft has chosen for the reels relate to this. These include showgirls, bottles of champagne, stacks of casino chips, roulette wheels and of course, Mr. Vegas’ two beautiful female companions. The slot utilises five reels and has a total of 30 adjustable paylines to offer. Players, who manage to land a dice symbol next to the Mr. Vegas symbol on the first, second or third payline, will be rewarded with a round of free spins. The number of bonus spins you get depends on the number you roll out when tossing the dice. 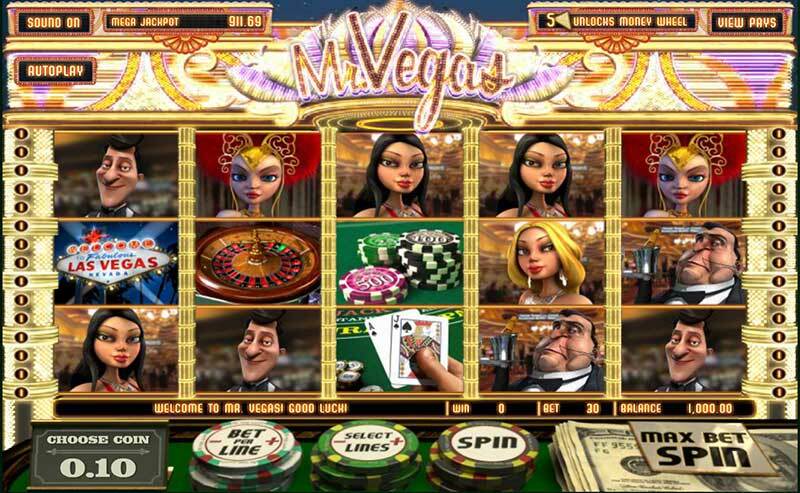 There is a bonus game which is triggered whenever players land the Mr. Vegas symbol on the first, third and fifth reels. This will provide them with the opportunity to play a game of roulette with Mr. Vegas and his two starlets to collect hefty monetary prizes. If you get five slabs of the Money Wheel anywhere on the reels in the base game, you can receive rounds of free spins and free credits to play with or even collect the huge progressive jackpot in the game. Good Girl, Bad Girl is among the most sought-after slot titles on BetSoft’s catalogue due to the fact the game offers some truly unique features you are unlikely to find anywhere else. The slot is played on five reels and offers a total of 15 adjustable paylines. Players will see their two hostesses hovering on each side of the reels. 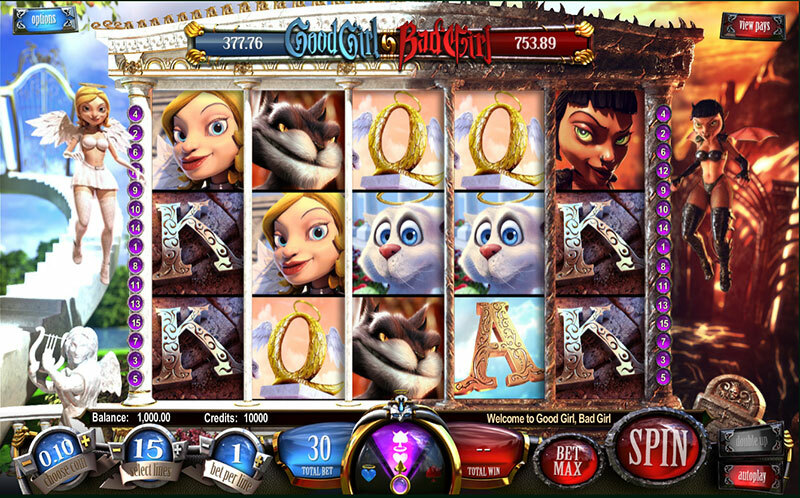 What is interesting about this game is that it enables slot fans to control their gameplay as they can choose to side with the good or the bad girl or even choose to play a combination of the two. Those, who decide to side with the good girl will benefit from smaller but regular wins, while players, who partner with the bad girl will enjoy larger but less frequent wins. Because of this peculiarity of the game, the slot has two different wild symbols depending on which mode you play in. The wild in the good-girl mode is coloured in blue, while the wild in the bad-girl mode is coloured in red. Also, there are two bonus games depending on your play mode. The two mini games are the same for the most part as both require players to open four gift boxes that contain cash prizes. When you load the game, you will instantly notice there are two different jackpots to be won – the Good and the Bad jackpot. The jackpots in the game are triggered at random whenever players succeed in landing three or more Money Wheel symbols on the first, third and fifth reels. If you play in Combo mode, you get to choose which of the two you will be given a chance to win. Once players unlock this feature, they are required to spin a wheel to earn free spins, cash prizes or the progressive jackpot. Please note that only those, who have bet the maximum amount are eligible for winning the progressive prize. Mega Glam Life is yet another BetSoft slot title that enjoys a tremendous popularity among players due to its gorgeous design, fantastic 3D animations and massive winning potential. The game has 20 paylines to offer across its five reels. As the name itself implies, BetSoft has been inspired by the lifestyle of the wealthy for this game as becomes evident by the symbols the developer has chosen for the reels. These include private jet planes, expensive cars, wristwatches and bottles of champagne, which are the higher paying symbols in this slot. Lower paying symbols are represented by various high cards. Some of the special features this slot has to offer include rounds of up to 16 free spins with dynamic multipliers and wild symbols that can trigger re-spins and allow players to complete more winning combinations. However, most players are attracted to Mega Glam Life because of the three-tier jackpot system it offers. There are three progressive prizes to be won in the game, namely the Big, Huge and Mega jackpots. In order to get a chance to collect one of the three, players are required to land three Money Wheel symbols on the second, third and fourth reels. The Money Wheel consists of three inner circles and it is the innermost circle that contains the three jackpots as well as monetary prizes of up to 1,500 credits. Players should set the wheel in motion to see which prize they will collect. After the first spin, the wheel will rotate by itself until it reaches the innermost circle and awards you with a prize. 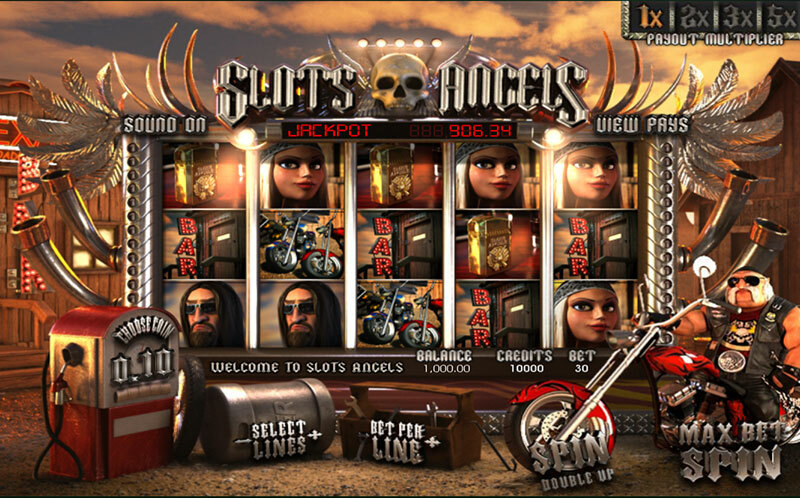 Players, who love motorbikes and are fans of rock music are guaranteed to enjoy BetSoft’s Slots Angels. The game was obviously inspired by the popular Hells Angels motorcycle club as its five reels feature various realistic biker characters, a bar sign, billiard balls, a dartboard, bottles and of course, motorcycles. When you land a winning combination on one of the 30 paylines, the symbols literally come to life because of BetSoft’s masterful animations. The game is also loaded with fantastic features which aim at boosting players’ profitability. For instance, players who land three or more bottle symbols on the first, second, fourth and fifth reels, will trigger the Party Free Spins Mode. Those, who succeed in lining up three dartboard symbols in the first, second and fifth reels, will unlock the Darts Click Me game where they are guaranteed to collect a cash prize, regardless of which of the three dartboards they pick. Each time players land a winning combination, the centre reel will re-spin, giving them a chance to earn more wins. What is more, during each re-spin, the multipliers in the upper right corner of the screen will increase to reach up to 5x. Players, who unlock the Biker Race bonus game will also collect additional credits. However, most slot fans prefer to play Slots Angels because of the progressive jackpot it offers. The latter is won whenever someone lines up five jackpot symbols (a chubby biker with sunglasses and a black bandana) on the first payline that spreads across the middle of the reels.